US healthcare insurer, Aetna, settled a lawsuit for $17 million, on Wednesday last over a data breach that happened in the summer of 2017. 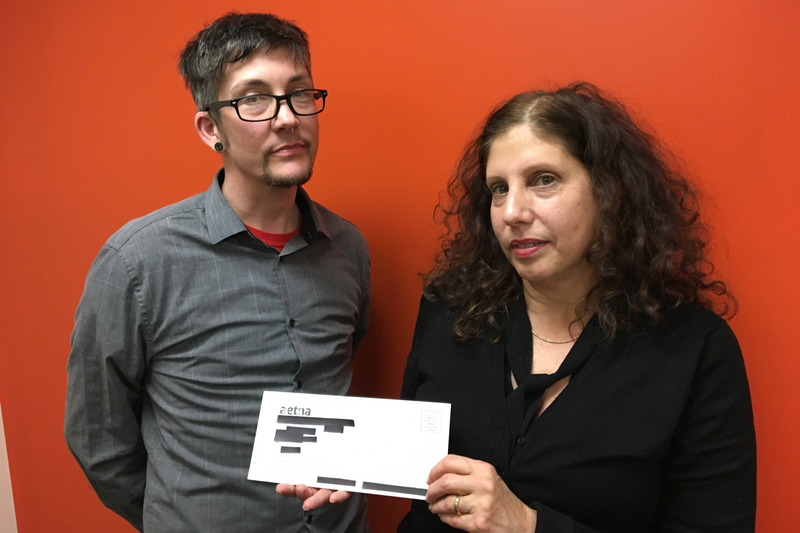 The privacy of as many as 12,000 people insured by Aetna was compromised in a very low-tech way: The fact that they had been taking HIV drugs was revealed through the clear window of the envelope. “I was shocked,” said Sam, who distinctly recalls the day he received the notice in August. (Kaiser Health and NPR agreed not to use his full name). The letter came to his mailbox in an apartment complex in New Jersey. He wasn’t directly involved in the lawsuit, but says the letter hit a level of vulnerability he had never felt before. Lawsuits filed in 2014 and 2015 alleged that the policy was discriminatory, that it prevented patients taking HIV medicine from receiving in-person counseling from a pharmacist, and that it jeopardized members’ privacy. While the stigma surrounding HIV may be less severe than it used to be, and treatments have improved greatly, Ronda Goldfein, director of the AIDS Law Project of Pennsylvania, said the reality is that serious discrimination still exists. That means protecting patient confidentiality is critical to ensuring people feel safe getting care. The AIDS Law Project of Pennsylvania and the Legal Action Center initially issued a demand letter in late August that the insurer stop the mailings. The company responded, setting up a relief fund for affected people and apologizing. “This type of mistake is unacceptable, and we are undertaking a full review of our processes to ensure something like this never happens again,” the health insurer said. The proposed settlement is awaiting approval in federal court, but in it Aetna has agreed to pay $17 million and set up new ‘best practices’ to prevent something like this from happening again. Beyond the payout itself, she hopes the suit helps change the culture of companies when it comes to the attention paid to medical privacy, and the rights of people with HIV in particular. To highlight that, lawyers used ‘Andrew Beckett’ as the pseudonym for the original plaintiff in the case, a Pennsylvania man from Bucks County. It’s a nod to Tom Hanks’ character in the 1993 film, Philadelphia, who was fired after his law firm found out he had HIV. This ‘Beckett’ is taking PrEP. “HIV still has a negative stigma associated with it, and I am pleased that this encouraging agreement with Aetna shows that HIV-related information warrants special care”, the man known as Beckett said in statement.